Offering carefree living for the 55+ buyer in the centrally located Oakhurst community. 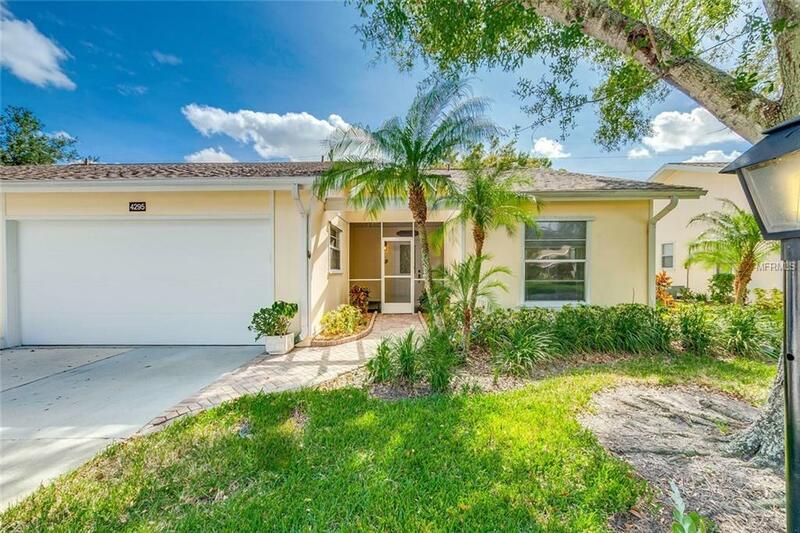 This light and bright two bedroom, two bath (split plan) villa with two car garage has been enjoyed by and lovingly maintained by the owners for the past 14 years. The gracious sized living room, together with additional under air area which can be used for separate dining, office or whatever space is needed, provides ample room for family & guests. The updated eat-in kitchen is enhanced by wood cabinets with three Lazy Susans, soft close drawers, granite countertops, breakfast bar, and double pantry providing plenty of storage. The kitchen, together with master bath has been updated from top to bottom (including plumbing); newer flooring throughout; newer roof in 2010 (with hurricane reinforcement added inside & out); and the HVAC is approximately six years old. Additional special features include paver walkway to screened in front entryway, sun protection film added to windows, exhaust fan in attic, reinforced garage door and hurricane shutters. Mingle with your neighbors at the clubhouse or take a dip in the heated community poolall within walking distance from your villa. Enter or exit the community from either entry point the gate at Wilkinson (just around the corner) or from the main entrance on Bee Ridge. I75, shopping, dining, entertainment, beaches and all that Sarasota has to offer is minutes away. Let your worries go, pack your bags and prepare to move - this can be your new home before the holidays!